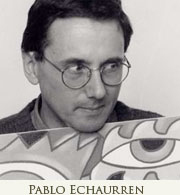 Pablo Echaurren started to paint at the age of eighteen and undertook his brilliant artistic career when we was still very young thanks to the encounter with Arturo Schwarz, the best representative of the Italian dada-surrealism. Since 1972 to date his solo exhibitions have been held in important galleries in Rome, Milan, Basil, Philadelphia, Zurich, New York, Brussels and he took part into several national and international exhibitions. 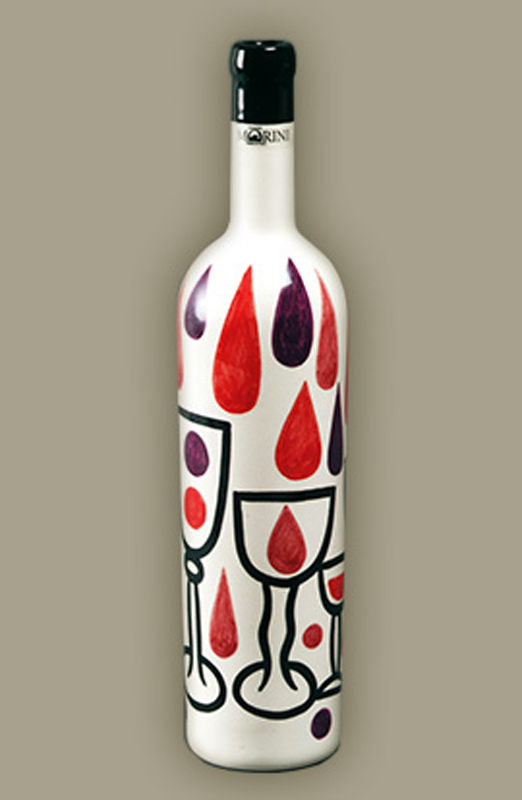 Constantly spurred by his contacts with the elite of the cultural and artistic world, over time Pablo Echaurren’s creativity has found several fields of expression – from painting to ceramics through applied arts – and has met the appreciation of the most authoritative Italian and international critics. In 2004 the Municipality of Rome paid homage to his multifaceted activity promoting an anthological display from the ‘70s to present days, held in the rooms of the prestigious Bramante’s Cloister.